Water Leak in Your Little Rock Home? 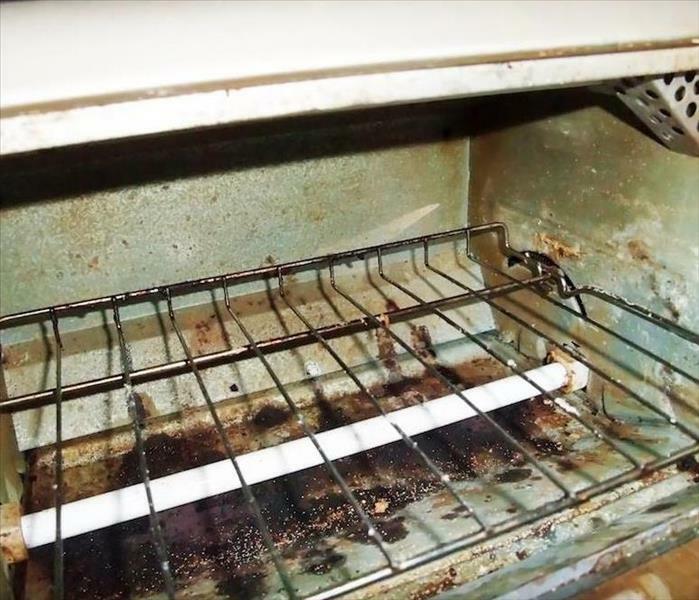 Call SERVPRO for Cleanup and Drying--"Like it never even happened." How do you know if you have a hidden water leak in your home? They can be tough to find, especially if the leak is inside a wall. Eventually, you should find it, but it could be hidden for a long time, and always degrading more of your residence. What do you look for if you suspect a water leak in your Little Rock home? Are there signs you can spot if you know what to look for? One place to check is your monthly water bill. Has it increased substantially? That could be a sign of a water leak somewhere on your property. The larger the increase in your bill, the greater the damage inside your wall cavities? Maybe. Inside your living space, the musty odor of mold is another sign of a hidden water leak. Dormant mold spores are opportunistic, just a bit of water sets them off into ever expanding mold colonies. Darker spots on walls or ceilings are a tell-tale sign of hidden water damage. In most homes, water lines are installed within walls, under or between floors and above ceilings. Any of these places can be a source of trouble. 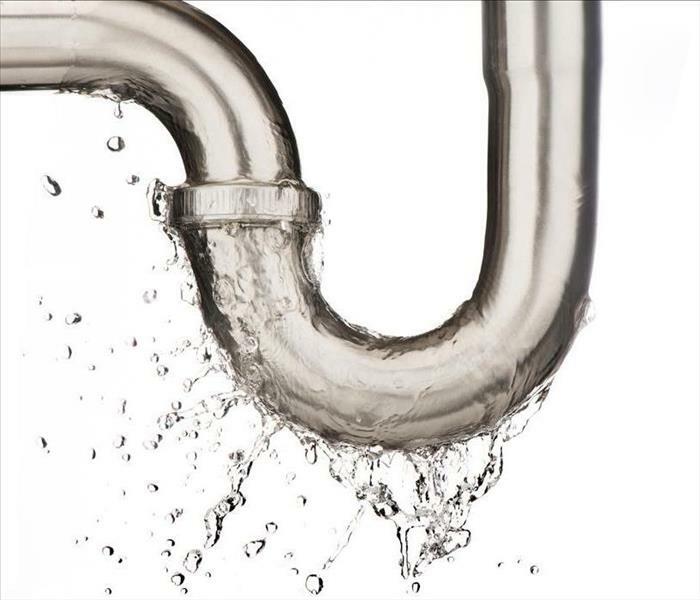 Eventually, the joints connecting water lines can wear out, and with the pressure inside this plumbing, even a small hole can spew hundreds of gallons of water in a short amount of time. 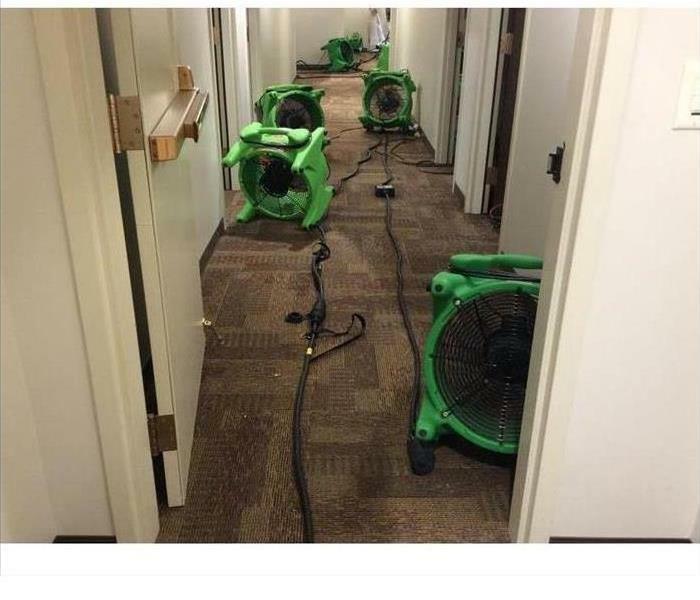 The employees of SERVPRO are experts when it comes to drying your home after a water loss. If you find signs of a hidden water leak, we are a phone call away. We use portable meters to detect hidden moisture and also use advanced infra-red technology so we can see inside walls, in floors, and ceilings. Find your experience with a Southern Accent by clicking right here. Once you find an issue, don’t hesitate to give us a call at (501) 217-8723 so we can help you get it cleaned up fast. Any area of your Little Rock home can be subject to water damage. However, there are particular areas which are more at risk than others. You can make a check-list of these areas and inspect them regularly so you know where to look and you can keep an eye on your home to detect any issues before the problem grows too large. 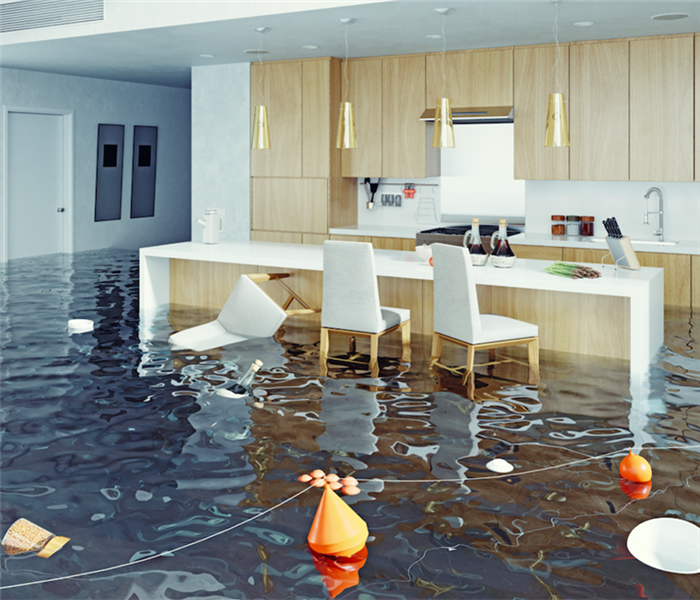 If you find water damage in your Little Rock residence, there are professional water damage restoration companies, such as SERVPRO, which can help you. Our staff is trained and equipped to fix the issue and dry your home promptly, avoiding additional problems such as a mold outbreak. Water damage in your ceiling can come from various sources. If it is the top story of your home, it could come from a leaky roof caused by heavy storms and rain. If you have a bathroom above the ceiling with damage, it can be from any number of leaks in your bathroom such as a toilet overflow or leaky bathtub. If SERVPRO staff must drywall cavities in your home, the process requires ventilation. One way we can ventilate the cavities of walls is to take the baseboards off and drill holes in between each stud. We then force air through these holes into your wall, so evaporation is increased. If we find much moisture, we may need to remove sections of drywall. We keep you informed of any possible holes we need to make before proceeding. One of the most obvious indications you have water damage is water stains on the ceiling and walls. Check around your window and door frames as well. Any unusual stains could signify that you have a leaky drain or pipe inside the wall. Your floors can also be subject to water damage from overflowing sinks or tubs or flooding from bad pipes or faulty appliances. If you do not have the proper drainage in your yard, the exterior of your home can also experience water damage. If your gutters are clogged or leaking, you may also find pooled water next to your home that if left untreated, can create even more damage to the structure of your home. SERVPRO of Central Little Rock / Cammack Village is always ready to help you with any water damage emergency in your home in Cammack Village, Little Rock, or the surrounding areas. Once you find an issue, don’t hesitate to give us a call at (501) 217-8723 so we can help you get it cleaned up fast. Call for our professional damage mitigation and restoration services at (501) 217-8723. While most people think of storm flooding as a sudden and dangerous matter involving torrents of sweeping water, and indeed those scenarios happen every year in communities across America, the majority of the calls we receive after most major storms come from much more localized issues. While leaving a window open may not damage much of your home overall, it can still leave a room soaked and lead to some very severe issues if you do not act fast. When you leave a window open during a storm, the winds and rain can come together to cause flood damage to your Little Rock home in a single room or area. Sometimes, the rainfall can be enough to create pools of standing water, but most of the calls we receive are not so severe. Dampened carpeting and furniture can still cause a wide variety of problems, and without the kind of fast drying techniques used by SERVPRO, can lead to advanced issues such as fabric and carpet warping, permanent discoloration, and even mold growth. Sometimes, water may leak into other rooms of your home as well, causing more widespread issues throughout the home. Calling SERVPRO immediately after the accident can help you to prevent the most damage possible through our time-tested mitigation approach. However, before our technicians arrive, you can help to save your belongings by separating fabrics, pillows, and rugs, and placing barriers between your furniture and the ground. These simple measures do not take much time and can save many objects and materials in your home from having to undergo costly restoration procedures or even being replaced entirely. SERVPRO of Central Little Rock / Cammack Village makes sure that you never have to deal with flood damage on your own. Call for our professional damage mitigation and restoration services at (501) 217-8723. When storm damage and flooding devastate the area, you can recover with SERVPRO. Call us right away after damage. When substantial disasters like flooding affect your Little Rock property, you have little time to protect your belongings and irreplaceable keepsakes from significant damage. While you might grab a few items while you vacate your home when the disaster first begins, protecting what got left behind should be a priority for any professional restorer you choose to work towards returning your house to its original condition. Our experts are available 24/7 to help with all of the mitigation needs that can save you money and preserve at-risk contents within your home. 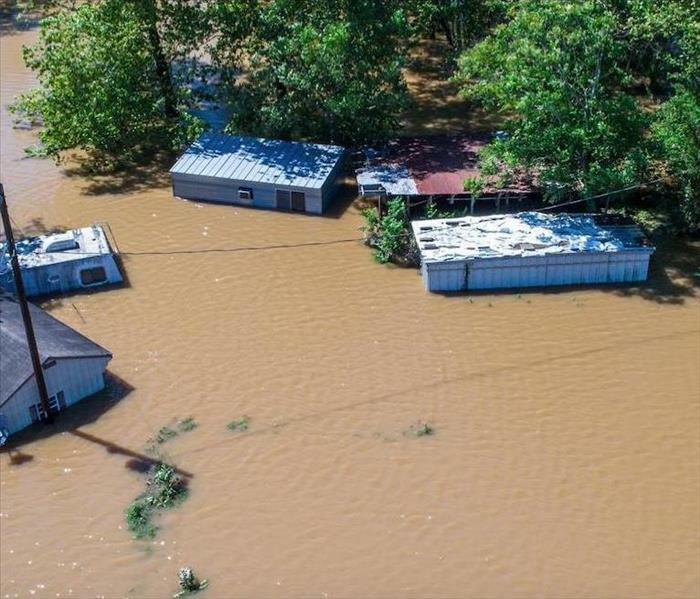 While flood damage to Little Rock homes might seem commonplace with so many severe storms passing through the area regularly, homeowners still get caught off-guard by the swift force of this disaster and its impact on their property. Our SERVPRO team arrives with the full measure of equipment necessary to begin mitigation work like extraction and drying immediately. We also arrive with the personnel from our Contents Department that can help with the inspection of your damaged property. These professionals that we send out to your home help to collect information about the full scope of the damage by identifying at risk and already damaged items from your property and tagging them for removal. We can safely transport these contents, furniture, and other belongings from your house to our nearby facility for focused drying, cleaning, and safe storage. With mold growth also being a common threat to overly damp items and contents throughout exposed areas of your property, our team also works to eliminate potential colonization at our facility and can deodorize affected items if necessary. Once restoration completes at your house, our team can safely return all of the removed items we protected from flood damage to their original positions. While you might have many concerns when flooding affects your home, the irreplaceable keepsakes and heirlooms inside your house should not be one of them. Let our SERVPRO of Central Little Rock / Cammack Village rapid response team help to protect these items with our pack-out process. Give us a call anytime at (501) 217-8723. Click here to learn more about the city of Little Rock. When disaster strikes your Little Rock home call SERVPRO for all your water damage needs. Where there is water, there is a strong chance of indoor humidity levels increasing. Most drying equipment works by blasting hot air into an affected zone and evaporating moisture. However, doing so creates a warm, humid environment which provides the ideal conditions for secondary damages like mold or mildew growth. It can also increase the likelihood of noticeable, unpleasant odors. Homes with water damage in Little Rock should seek professional assistance to guard against secondary damages after the body of water is removed. There are two primary methods for efficiently drying a property known in the industry as the open system and the closed system. SERVPRO technicians are adept in assessing which system is likely to be the most effective and implement it efficiently. An open system involves ventilating the affected area as much as possible. Using rapid air movers can swap humid indoor air for drier outside air. This is not always effective as weather conditions can cause problems for homeowners, particularly during the winter months. However, one of the benefits of an open drying system is that, in most cases, odors are also removed as part of the drying process. As the name suggests, a closed system involves putting up physical barriers like plastic sheeting and preventing humid air from spreading throughout the house. With barriers set up and dehumidifiers placed, the affected zone becomes a drying chamber. These types of method are super effective at removing moisture from fabrics as well as the surrounding area. Whichever method is used the crucial step for a SERVPRO technician is to ensure that the systems are balanced. We use two main types of equipment. Rapid air-movers, which circulate heated air and evaporate moisture are used in combination with dehumidifiers which draw the evaporated moisture from the air. By ensuring your home is dry, we can also confidently guard against potential secondary damages. For an expert approach to home restoration, contact SERVPRO of Central Little Rock / Cammack Village at (501) 404-4225 now. Our trained technicians act fast and protect your belongings after flood damage. We are available 24/7 so call us right away. While natural disasters are not uncommon to Little Rock residents, many circumstances can threaten properties with little or no notice. Getting caught off guard by a destructive force like flooding can be devastating to your home, and even more so if you do not seek out professional restoration right away. Our team can offer real-time mitigation strategies, even amid the flooding, to reduce your loss and help later restoration to be more efficient and cost-effective. As flood damage occurs, Little Rock residents worry most about structural damages and the destruction of irreplaceable belongings and keepsakes inside of the house. By reaching out to our SERVPRO rapid response team at the first sign of an emergency, we can arrive promptly to help you protect these things that matter most to you. This protection begins with effective extraction work that can limit flow into your home until our technicians can seal up the penetration points. Once the flow has ceased into your home, you need to have the excess water removed quickly so that debris removal, cleaning, and drying efforts can follow. 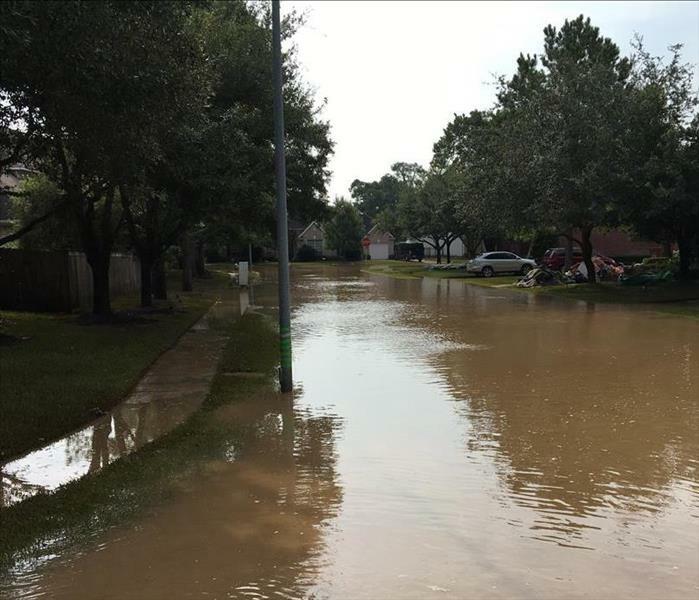 We arrive with a variety of extraction equipment including portable sump pumps and gas-powered units that can remove standing water fast from the affected areas of your property. For severe flooding situations, we also have truck-mounted, high-powered options that can work even more efficiently to remove this hazard. Protecting your belongings is an important step to the mitigation work that we do. We understand that there are keepsakes and heirlooms in your home that monetary compensation cannot replace or replicate. We work to remove all of the at-risk items from your house to a safe storage area or our facility for disinfection, cleaning, and drying. Mitigation is a vital component to the successful restoration of a flood-damaged home. 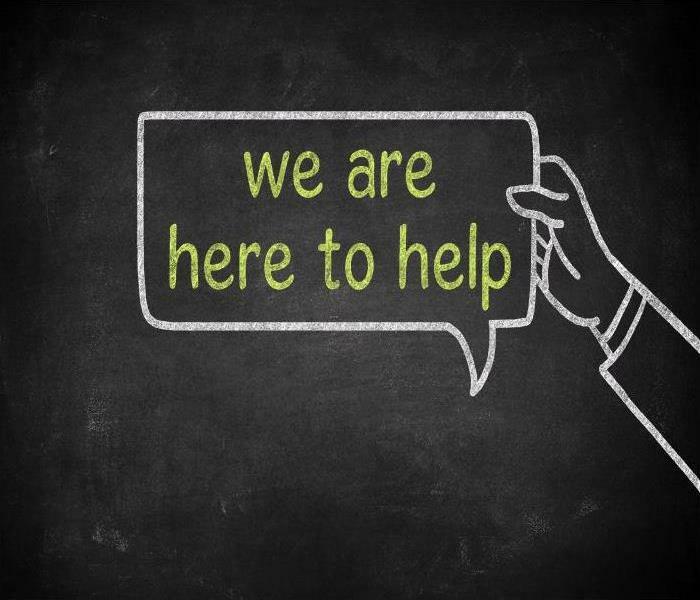 If you are affected by an unexpected flooding situation, you can depend on the fast response and extensive training of our SERVPRO of Central Little Rock / Cammack Village technicians. Give us a call 24/7 at (501) 217-8723. Learn more about free family fun in Little Rock click here for more details. To Avoid Potential Hazards After A Fire In Your Little Rock Home, Call Our Experts For Assistance! You can reach our SERVPRO of Central Little Rock / Cammack Village fire restoration specialists 24 hours a day by calling (501) 217-8723. After any disaster that can affect your Little Rock home, you want to quickly assess the structural integrity of the property to deduce which areas require demolition and reconstruction. Often this is a step that homeowners cannot do on their own, as they lack the expertise to identify even moderate damages and can allow potentially hazardous elements to remain installed after disasters like fires. One of the problematic aspects of recovery after fire damage affects your Little Rock property is deciding to leave it to the hands of professionals. Even with our reputable SERVPRO team, homeowners still want to have a hands-on approach to bringing their property to its original conditions quickly. Truthfully, there are many risks and hazards present in a home whenever combustion occurs. Smoke and soot particulates can be hazardous to breathe, but also chemical reactions and gases could also prove detrimental to unprotected individuals. Structural assessment is one of the first aspects of our mitigation and restoration approaches. With aspects like fire debris removal, our team on site must know what materials and areas of your home require demolition and tear out to allow reconstruction efforts to follow to be more efficient. Likewise, we can assess which areas only require cleaning and deodorization but do not require removal to restore entirely. Our SERVPRO team has personal protective equipment designed to protect us from the often harmful particulates and matter in the environment following a newly extinguished fire. We can run equipment like our hydroxyl generators and air scrubbers to help improve indoor air quality through processes like tear out and clean up. The on-board HEPA filter can trap dust, debris, soot, smoke particles, and even contaminated particulates to make the air safer to breathe. Many potential hazards ensure that inspection and debris removal processes should get performed by trained professionals like ours. You can reach our SERVPRO of Central Little Rock / Cammack Village fire restoration specialists 24 hours a day by calling (501) 217-8723. We have the right equipment to handle drying out your business after a flood. 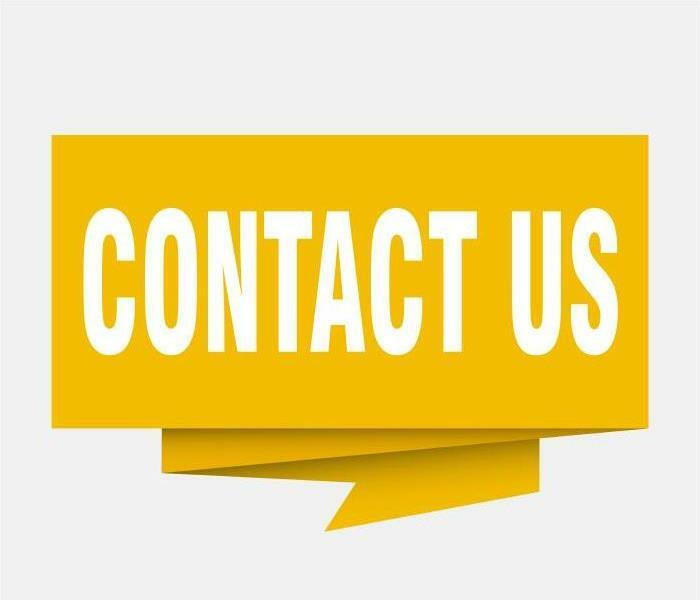 Contact us right away we are available 24/7. If your commercial establishment in Little Rock floods, you face many hurdles before restoring the structure to preloss state. First, you have to clean up the filth dragged in by the floodwaters, before drying the place. You might also need to tear down parts of the structure because the materials are contaminated or because they absorb too much water and lose structural integrity. Flooding might also leave bad smells which you have to eliminate to avoid inconveniences to you and your customers. Hiring a restorer that can handle all the tasks saves you from frustrations. The high volumes of water left in a property complicate restoration of commercial flood damage in Little Rock. With such standing water in the house, it is not possible to carry out other steps including cleaning up wastes. Quick removal of such water is therefore essential to the restoration process. Having a wide range of extraction equipment helps our SERVPRO team achieve the intended goal. We can use truck-mounted extractors which have up to 200-inch vacuum-lift capacity and submersible pumps if the water rises over two inches. Faster extraction creates an opportunity for other restoration steps to start early. The contamination in floodwaters is severe, so it is advisable to avoid wading in unprotected. When such water soaks into different materials in the premises, cleaning and using disinfectants might not eliminate all the contaminants. Our SERVPRO technicians assess the level of exposure to your premises. We remove any porous materials like cabinets, carpets and particleboard partitions adversely affected by floodwater. Removing such materials also creates better access for further cleaning. Our technicians then handle replacement and refinishing once the cleanup phase is over. Presence of bad odor is a common outcome of flood damage. Each case is different depending on the specifics of the incident. Biohazards like sewage or dead animals can lead to smells if not removed properly. Moisture remnants not dried appropriately can also cause issues especially if mold develops. Our SERVPRO technicians carry out a thorough investigation to ensure we fix the source before choosing a deodorization method. If odor remains after removing the source, we apply agents to sanitize, neutralize or pair with odor particles eliminating the smells. There is an advantage of working with an integrated restorer if your business premises floods. Call SERVPRO of Central Little Rock / Cammack Village at (501) 217-8723 to help restore your premises. We’re Faster To Any Size Disaster. Want to adopt a pet? click here for more information. Leave the job of determining the mold type in your home to professionals. Contact SERVPRO if you suspect there is mold in your home. Widespread water damages and flooding in your Little Rock home can be challenging to overcome without professional intervention with advanced tools and techniques. While many homeowners strive to save money after disasters have affected their properties, it is not always the wisest choice. 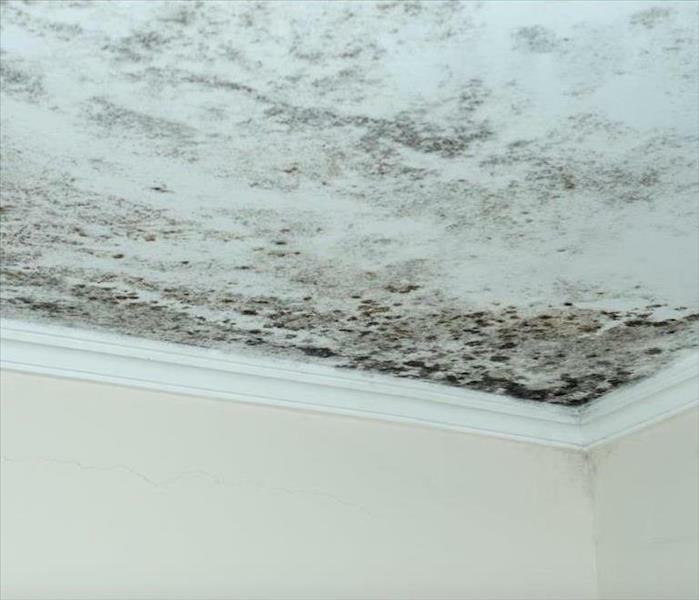 If left inadequately dried, water damage can develop into mold growth which can spread quickly between organic materials and contents of your home to present a substantial risk to the structure and those living in it. Mold damage in Little Rock is not always the easiest to identify in your home, as much as many homeowners might assume. While there are ways of determining whether your home has gotten affected by this damaging organism, the most effective approach is to entrust the inspection and assessment to trained professionals like our SERVPRO applied microbial remediation technicians. Our team has the expertise and equipment to identify the full scope of potential damage and work immediately to begin corrective actions if mold gets discovered. To identify mold growth in your home without the qualified inspection available through our SERVPRO response team, it begins with assessing moist and damp areas of the property. If you find a location that you are constantly working to keep dry, chances are, this is also a good place to begin your hunt for potential mold growth. Mold spores require damp environments to seat and thrive into colonies, so begin looking for signs of growth in these areas. Spotting is one of the indicators of a colony beginning to form on materials. This symptom is identifiable most easily on surfaces and materials like drywall. You are looking for irregular splotches of colors which could include green, black, blue and even orange. Additionally, mold colonies give off a musty odor. Encountering this scent can indicate that a colony is nearby, even if you have not seen it yet. Whenever you find mold growth in your home or suspect that colonies might exist, give our SERVPRO of Central Little Rock / Cammack Village remediation specialists a call. You can reach us 24/7 by calling (501) 217-8723. 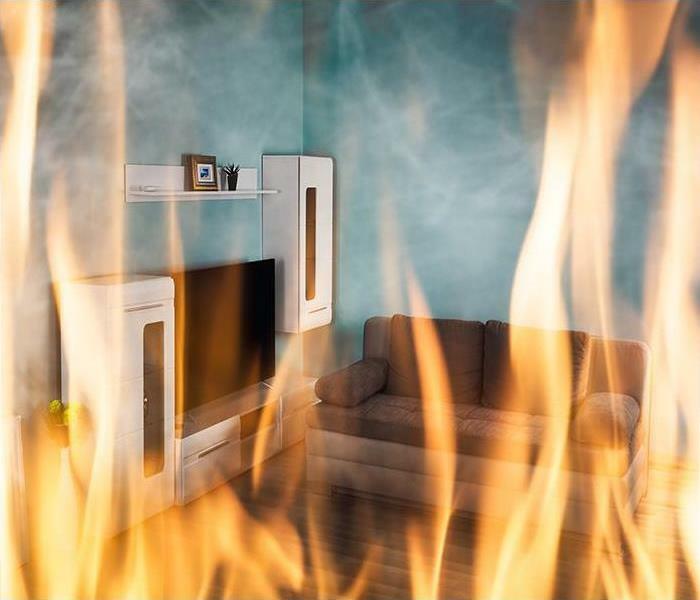 3/5/2019 - To Avoid Potential Hazards After A Fire In Your Little Rock Home, Call Our Experts For Assistance!